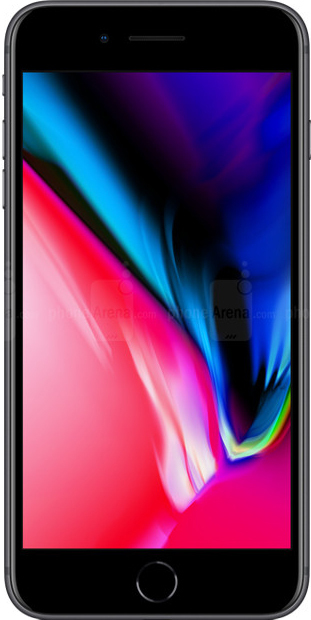 Apple iPhone 8 Plus Mobile Phone has 14 user pros and cons opinions and 71.5% total satisfaction rating. The iPhone 8 Plus has received an amazing 94 score in DxOMark tests and DxOMark concluded and I Quote: "The best smartphone camera we've ever tested". The slow sync flash can keep the shutter longer and allow the ambient light to feel in the background, making flash iamges more natural and less contrasty. The iPhone 8 Plus can record videos at very high 4K resolution, which means your 4K videos are going to look amazing on once playback on a 4K-supported display. The portrait mode and portrait lighting is modes that makes the iPhone 8 Plus stand out from the iPhone 8. It can achieve great looking Bokeh effect (background blur) an can apply different light effects to faces to improve your portrait pictures. The iPhone 8 Plus can record slow-motion videos at 1080p 240 fps, great for creating some creative footage. The iPhone 8 Plus comes with an f/2.2 aperture lens for the front camera, which is very disappointing. The resolution i now 7MP, so this might suggest larger pixels compared to previous version, yet, f2.2 will limit its low light capability. The new iPhone 8+ is IP67 certified, which means that it's protected against dust and can be submerged underwater in 1m depth for up to 30 minutes. This means that you can use it in the rain and nothing will happen to it if you accidentally spill liquids on it. Nice to see, but not surprisingly, that the iPhone 8 Plus comes with different color variations. This time around we have a gold, Silver and Space Gray color options, each user can choose his favorite color. The new iPhone 8 Plus looks the same as its predecessor. I was very disappointed to see the same design and assuming Apple to innovate this time around in 2017. I think that Apple just put all its efforts in making the iPhone X stand out, and this is why there is no change. The iPhone 8 Plus like its little brother the iPhone 8, support Qi wireless charging. Users can easily and conveniently charge their phone by just placing it on a Qi-compatible charger. One of the great things about the iPhone 8 Plus is related to its price. The 8+ costs only $50 more than the iPhone 7 Plus. I'm sure that the 7+ will get a more significant price cut very soon, still, this is a good price for new comers and those searching to upgrade.